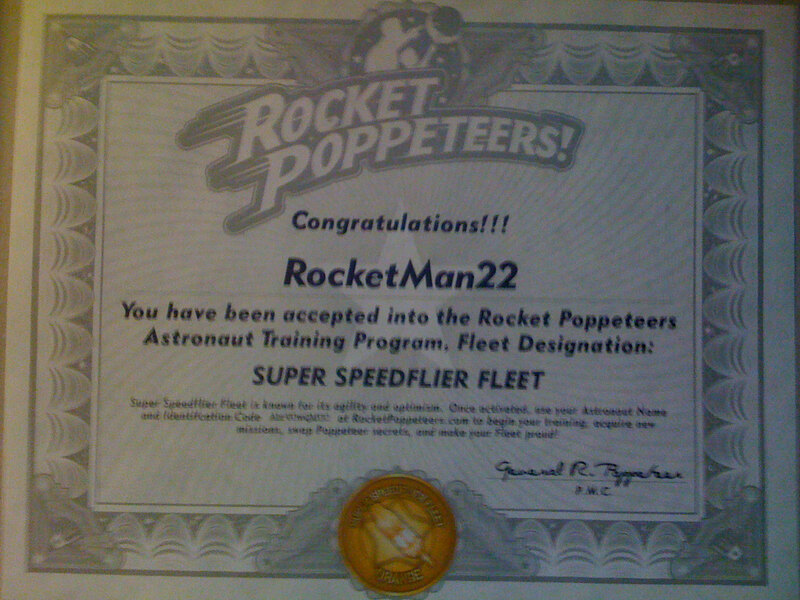 Many readers have reported receiving a large envelope containing a certificate from The Rocket Poppeteers, but RocketMan22 was nice enough to send over a picture of the certificate as well as the envelope. 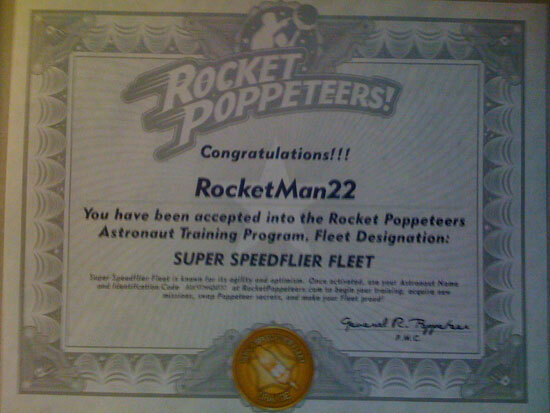 He did mention that he still cannot login to the rocket poppeteers website so it doesn't appear that anything has been unlocked by this certificate at the moment. Got mine today too! DzXShepard of the Sonic Strength Fleet. are there participants from the philippines who got their certificate? argh! too bad..i didnt received that thing..darn it. ive got mine.. im from quezon city.. Yes! They’re sending the certificate worldwide! Just have recieved mine right now! I’m on the Brain Blast Fleet! Greetings from Bogotá, Colombia! so… anyone know how long it takes to fuel a rocket ship? whats with everyone adding numbers before their name when mentioning their certificate, i just got back from holidays and found mine. I didn’t have any numbers in front of my name. Also I’m in Brisbane Australia. when did you received it? I have just started looking into the viral advertising for Super 8, and on the Rocket Poppeteers website, I’ve been on the rocket ship helm’s HUD, waiting for something to happen, and having my volume up (though I don’t know why) and after about 5 minutes hear a message. I wasn’t quite able to make it out, but I’m trying it again to see if I can. has anyone notice the weird lines on the bottom of the envelope? there is also a similar pixelated thing on the stamp, I’m from Europe so I don’t know if its regular to be on a US stamp but if not maybe those two can be combined to make out some text??? Am I the only Brazilian here? And where’s the “three digit number” you guys are talking about? Is it on the envelop? If so, mine’s just “10”. and I’m a BRAIN BLAST FLEET! Cadet Early, Sonic Strength, Washington state. Sonic Strength Fleet FTW!, Go Team SSF! Maybe they are working on it! A lot of people in sonic strength fleet !! What did you put on the quizz? I can’t find where to log in on the site though….. I have just started lonikog into the viral advertising for Super 8, and on the Rocket Poppeteers website, I’ve been on the rocket ship helm’s HUD, waiting for something to happen, and having my volume up (though I don’t know why) and after about 5 minutes hear a message. I wasn’t quite able to make it out, but I’m trying it again to see if I can. I have no clue where to enter my I. D. code. Help? Maybe you did’nt make the grade dude? Hey, guess what? Just recieved a digital version of the certificate! 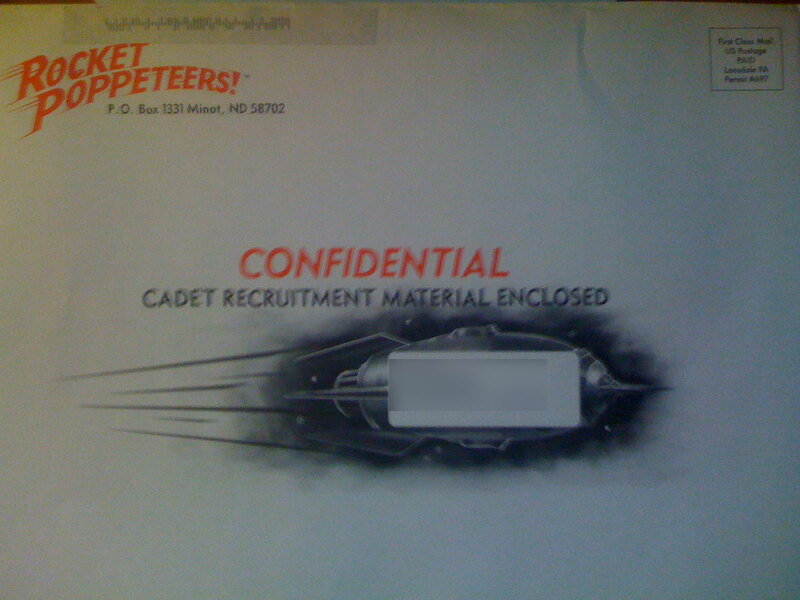 I had already recieved it on regular mailing on January 8 (posted here then to inform also). Looks like they don’t want to lose public! I recieved a mailed copy a 2 months or so ago but today just an FYI I also got an email where I can print out the certificate maybe that is how they are doing it now, but I got both so I am guessing we should see some movement on the RP site real soon here. I have a feeling that all this will be used in the credits of the movie. If it is then you heard it from me first.